WestVETS has a large team of experienced Veterinarians with expertise across family pets, horses and farm animals. We also have a dedicated team of support staff including Veterinary Nurses, Administrative Staff and Stable and Farm Hands. Our staff regularly attends continuing professional education courses – we are committed to providing the highest standard of care for your animal. Nathan is the Practice Principal and an Equine Veterinarian. 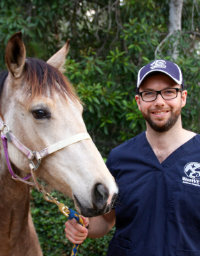 Nathan started his career in mixed practice in South Australia working with all animals, large and small. He then branched into Equine practice, working in the UK for some time before relocating to Anstead where he has been based since 2002. Since then, Nathan has upgraded the facility at Anstead to a modern and state of the art hospital that provides complete service to family pets and horses. Nathan has also expanded the practice in 2012 to include another Animal Hospital and an Equine Reproduction Centre located on the Warrego Highway at Marburg. Nathan’s main fields of interest and expertise are the diagnosis and treatment of lameness in performance horses and equine surgery. Nathan also has extensive experience in Equine Reproduction and he thrives on the hectic workload of the reproductive season. In 2010 Nathan was accepted as a member of the Australian and NEW Zealand College of Veterinary Scientists in the field of Equine Surgery. The College is a post graduate group that aims to advance the current level of veterinary knowledge and skill. Nathan is a former president of Equine Veterinarians Australia and has held the position of Australian Eventing Team Veterinarian since 2013. 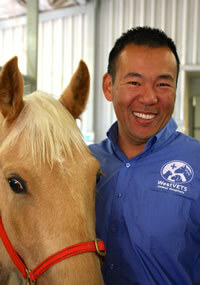 Nathan enjoys equestrian sports and is an accredited FEI Veterinarian. He can often be found officiating at equestrian events. Harry graduated from James Cook University in 2010 and immediately went on to complete an equine surgery internship at the Hagyard Equine Medical Institute, in Lexington, KY. Upon completion of his internship in 2012, he commenced a residency in large animal surgery at the University of Georgia. During his residency, Harry undertook research on the biomechanics of equine larygnoplasy (roarer surgery), joint injection techniques and co-authored multiple book chapters. In 2016, Harry achieved board certification of the American College of Veterinary Surgeons in Large Animal Surgery. Upon a return to Australia, he worked at the Goulburn Valley Equine Hospital in Victoria for 18-months prior to relocating back home to Queensland. Harry’s clinical interests include angular limb deformities, orthopaedics, laparoscopy, and emergency surgery. Harry is currently a reviewer for Veterinary Surgery and a member of the AO Foundation in veterinary orthopaedics. Outside of work, Harry likes to follow almost all sports and horse racing, and training with his wife at CrossFit. Asher joined WestVETS at the commencement of 2008 after spending 6 years in mixed practice in NSW and locally. He brings a wealth of experience, knowledge and enthusiasm to our practice. His main work interest is in Small Animal Medicine and Surgery. Asher has undertaken a Masters Degree which will ensure that he is kept abreast of the rapidly emerging advancements in the field of Veterinary Medicine. Asher is passionate about quality Veterinary care and while he enjoys the routine work of tending to healthy patients, he thrives on the more challenging cases. While not working or studying, Asher is a keen surfer and he can often be found travelling to various spots within South East Queensland. Paula really didn’t have any choice in her career, her mother was a nurse, her father a farmer and she had an obsession for horses from a very young age. After qualifying from Liverpool University UK, sometime in the 1990s, she worked at the University equine hospital and then did an Internship at Rossdale’s in Newmarket. She then worked in a busy equine hospital in the Cotswolds. Paula came to Australia for 6 months and loved it so much, she is still here after 15 years. During this time she worked at Oakey Vet Hospital and Samford Vet Hospital. Her clinical interests include diagnostic imaging, the investigation and management of musculoskeletal issues in the equine athlete, and working in combination with farriers and physiotherapists to achieve the best results for your horse, as well as foal medicine, internal medicine and dermatology. In her spare time, Paula is a part time mermaid enjoying scuba diving. Photography, live music, baking and wine tasting (often simultaneously) provide relaxation. 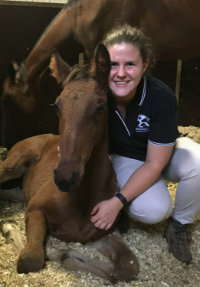 After graduating from the University of Qld Tori undertook an equine internship at Oakey Veterinary Hospital before going to work in her father’s mixed animal practice. The lure of the horses was too strong however and she joined the equine team at WestVETS in 2007. Tori is a popular and capable veterinarian in all aspects of equine practice but has a special interest in foal medicine and advance equine reproduction technologies. 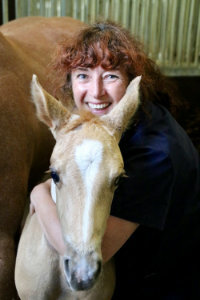 Tori plays a major role in the Equine Reproduction Centre, dedicating much of her time during the busy breeding season to artificial insemination and embryo transfers. In 2010 Tori was accepted as a member of the Australian and New Zealand College of Veterinary Scientists in the field of Equine Medicine. When not at work Tori enjoys camping and fishing as well as competing in as many dressage competitions as she can fit into her busy workload. Frank spent his teenage years growing up with horses in Townsville before moving down to Brisbane to attend veterinary school at the University of Queensland Veterinary School. 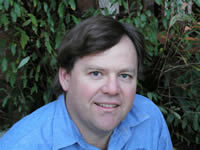 Frank graduated from UQ in 2000 and worked in a mixed stud based practice in Warwick on the Darling Downs. He then began a long working journey in the UK for six years, working notably in Somerset and Surrey, focusing mainly on sport horse practice such as hunters and eventers. 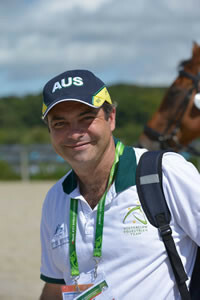 Frank moved to Hong Kong in 2009 to join the Hong Kong Jockey Club, where he was fortunate enough to lead a unique program which rehabilitated and trained retired thoroughbreds for new careers in Dressage, Show Jumping and Eventing as well as riding school liveries. Frank has a strong interest in FEI equestrian events and was the Hong Kong Equestrian team vet for the 2014 Asian Games and FEI treating vet for the CSI5* Longines Hong Kong Masters show jumping event. Frank has a strong interest in performance evaluation, especially in equine cardiology. Megan graduated from UQ with honours in 2004 and spent her first 5 years working in local mixed practice in Laidley. She then moved to western Brisbane where she worked in partnership in a small animal practice for 5 years before moving back to the Lockyer Valley to join the WestVETS team. Megan enjoys the variety and challenge of mixed practice though her focus is nowadays more on small animal medicine, behaviour, rehabilitative and reproductive medicine. She is passionate about helping you to have the best possible relationship with your furry family members, at every stage of their lives. In her free time she enjoys motor biking, travelling and lazing around with her geriatric pets and a good book. 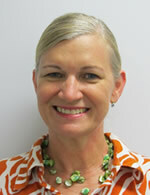 Angela grew up in the local area and graduated from the University of Queensland with a Bachelor of Veterinary Science. After a few years as a mixed practice country Vet in Australia, Angela decided to locum in England and traipse around the European countryside. Angela then settled back into Small Animal Practice in Brisbane and attained her Membership to the Australian College of Veterinary Scientists in Small Animal Medicine in 2007. Angela is a keen soft tissue surgeon and she has extensive knowledge of managing the post-surgical case. Since then Angela’s family has expanded to include 2 children and she has continued to work part time as a Small Animal Veterinarian. In her spare time she enjoys gardening, fishing and playing at the beach with her family which includes Hugo the sausage dog. Kristy graduated from UQ in 2002 and worked in a mixed animal practice in Western QLD for 2 years. Kristy then relocated to Brisbane where she joined a large veterinary hospital working with small animals. This gave her a broad case range and experience in emergency medicine and surgery. A locum stint in multiple UK practices allowed Kristy to completed post graduate training in ultrasonography. Upon returning to Australia Kristy accepted a position as a veterinary intern at UQ. This position fuelled her passion for small animal medicine. Kristy was also involved in 4th and 5th year Veterinary student education and training. During this time she also completed postgraduate studies in Feline Medicine. 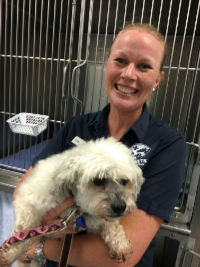 Kristy brings wide ranging experience and skills to WestVETS. For the last 8 years Kristy has worked part time as a Senior veterinary associate in small animal practice whilst raising 3 young children, 2 cats and a very playful Rottweiler. Amanda joins WestVETS after completing her internship at Avonvale Equine Practice in the UK which she commenced straight after graduating from the University of Glasgow in 2016. Amanda grew up in Hong Kong and has had a passion for horses from a young age. She worked on a large dressage facility for 8 months between high school and university. She has also worked with several charities overseas treating working donkeys and horses in India and Morocco. Outside of work she loves travelling and spending time with her partner and their miniature schnauzer, Arthur. Hayley grew up in south east QLD and had aspired to become a vet from a young age. She graduated from the University of Queensland in 2014 and spent her first 3 ½ years working in a mixed practice in Warwick. She then ventured up to Katherine in the Northern Territory to work as a locum vet for 6 months, while also spending time working on a cattle station. Hayley joined the WestVETS team early in 2019. She enjoys all aspects of mixed practice, however does have a particular interest in equine medicine, reproduction and surgery. Away from work, Hayley devotes all of her spare time into riding and looking after her own horses and campdrafting on the weekends. Margaux graduated from the Atlantic Veterinary College, University of Prince Edward Island in 2011. She undertook an equine surgical internship at Hagyard Equine Medical Center in Lexington, Kentucky from 2011-2012 which is one of the busiest equine hospitals in the world. Thereafter, she undertook a Large Animal Surgery Residency which was completed in 2015 at Hagyard Equine Medical Center. She became board certified in Large Animal Surgery by the American College of Veterinary Surgeons in 2016. 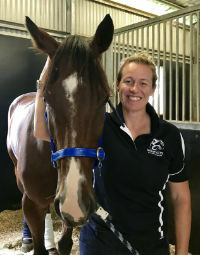 Since 2016, she has worked in Australia as an Equine Surgeon at Goulburn Valley Equine Hospital (Shepparton, Victoria), University of Sydney (Camden, NSW) and is now employed by WestVETs Animal Hospitals in Anstead. Her interest in complementary medicine started when she was competing in eventing as a kid and watched her veterinarian use both acupuncture and chiropractic to help her horse in conjunction with western medicine. Margaux completed the Chi Institute Course (Reddick, Florida) in Equine Acupuncture in 2018 and recently completed the Options of Animals Chiropractic (Wellsville, Kansas) in the Essentials of Animal Chiropractic in 2019. Dr Nick Kannegieter, Registered Specialist in Equine Surgery, is one of Australia’s leading equine surgeons with more than 20 years experience in all aspects of the horse industry, including racing, performance, and pleasure horses. 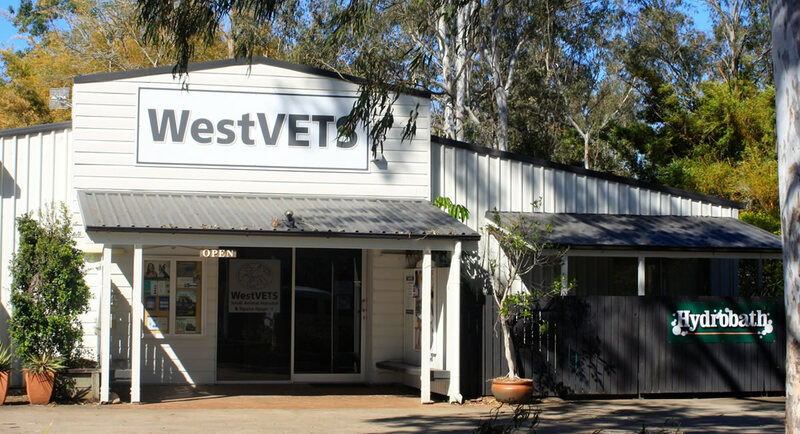 Nick runs a consultancy practice extending between NSW and QLD and he regularly operates at WestVETS on Thursdays. Nick is available for all types of surgery and surgical consultations; however he has a special interest in arthroscopic surgery and throat surgery. Edith is a Queensland graduate with more than 20 years experience who has worked both in small animal Veterinary practice and in research centres. Edith is passionate about eyes and loves teaching ophthalmology. 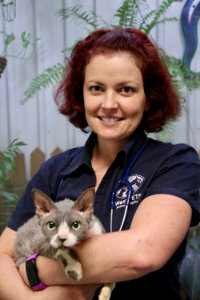 She recently accepted a position as Senior Lecturer at The School of Veterinary Science, The University of Queensland. Edith visits WestVETS once a week to provide an Ophthalmology service to small animal and equine patients.